As is well-known, Chongqing people like to eat hot pot adding in Pixian bean paste, dried red chilli, Hanyuan pepper etc., but this spa resort in China takes the ‘hot’ in ‘hot spring’ to otherworldly levels. If a regular level 10 Spicy hotpot excites you no longer, feast your eyes on this magnificent answer to your chilli addiction. 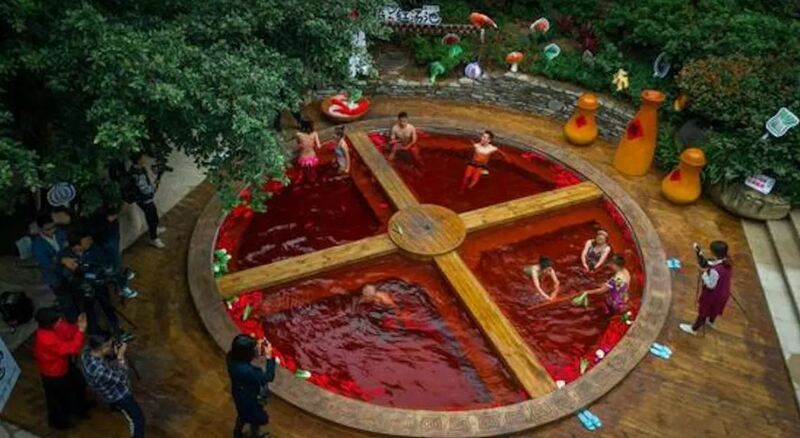 A hot pot-style hot spring located in Chongqing, China could just give you the spicy kick you’re looking for.